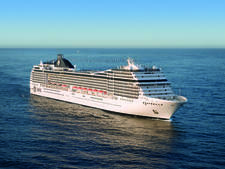 MSC Magnifica is one of the Musica-class ships, which debuted in 2006 and include sister ships MSC Musica, Orchestra and Poesia, with Magnifica the last to join the quartet in 2010. 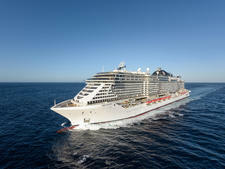 For 2018 Magnifica began sailing the line's first full season round trip from the U.K. -- homeporting in Southampton -- and, as a result, a number of Brit-friendly features have been added, such as kettles in every cabin and Yorkshire Tea (the line even employed a Tea Taster to ensure the quality was up to scratch), bangers and Marmite at breakfast, scones and jam at tea time, and English entertainers for some of the shows. 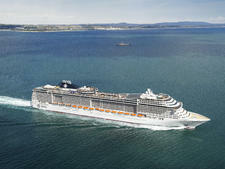 That said, MSC Magnifica remains an Italian ship, so passengers shouldn't expect an all-British experience such as the likes of P&O Cruises or Fred. Olsen. What they will get is the best of both worlds in a warm, friendly and cosmopolitan environment. 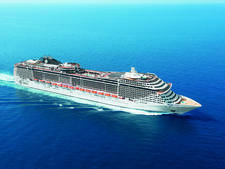 A comment often made about MSC is that the ships are too glitzy and over the top, but that certainly doesn't apply to the 3,223-passenger Magnifica, which has no crystal-studded staircases, water parks or the exclusive "ship within a ship" Yacht Club enclave found on the line's newer and larger vessels. So while that will be a minus for some, it's a plus for passengers who enjoy a more traditional style of cruising with less all-singing all-dancing amenities. What Magnifica does have is a plethora of diverse bars and lounges -- with drinks at very reasonable prices, an elegant atrium with a grand piano as the centrepiece, and virtually round-the-clock dining opportunities (albeit with just one speciality restaurant). 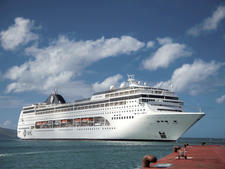 It's not an overwhelmingly huge ship, and is well designed and easy to get around. 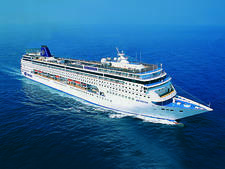 In common with other vessels in the fleet, cruises are sold as three "experiences" -- Bella, Fantastica and Aurea -- with various levels of inclusions. 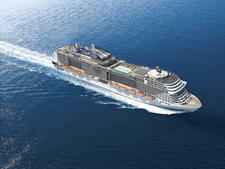 For example, priority dining times and free room service delivery for Fantastica passengers, and anytime myChoice Dining and bathrobe and slippers for Aurea passengers. Magnifica is very family-friendly with a great range of free activities for youngsters, plus unique amenities such as a dedicated laundry service for children's clothes. 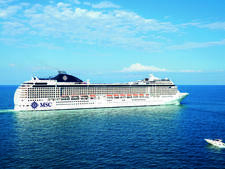 While English is the main onboard language, MSC attracts passengers from mainland Europe and beyond. This means that announcements are made in five languages and entertainment is mainly geared to appeal to multinational audiences, with dancers, bilingual singers and acrobats -- although dedicated English acts have been introduced to cater for the increase in British passengers. 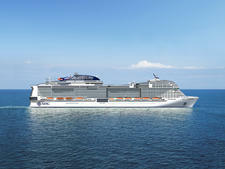 Also, unlike the majority of cruise lines, passengers embark and disembark at different ports of call, so you can expect a change in the onboard demographics along the way. 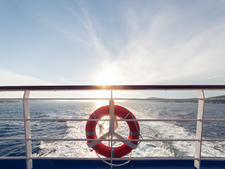 It is a credit to members of the crew in all departments who manage to switch seamlessly from one language to another. 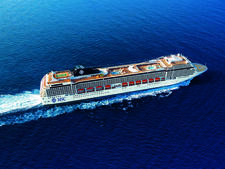 Another thing to note is that cigarette smoking is more prevalent on MSC than other lines, with designated areas on the pool decks and inside the ship (in a section of the casino and in the cigar lounge). 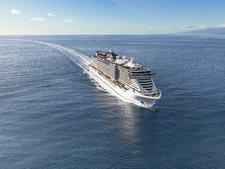 In January 2019 MSC Magnifica will host the line's first ever world cruise, across six continents, 32 countries and 49 ports of call. 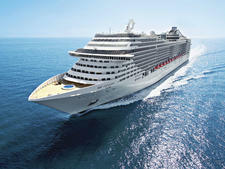 The composition of fellow shipmates is influenced by where the ship is deployed, and there has been a big jump in British passengers as a result of Magnifica homeporting in Southampton. Similarly, when it sails in the Mediterranean the majority of passengers are Italian, and others will come from all over the world. 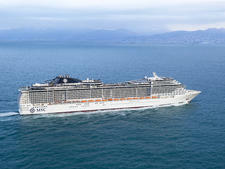 Part of the fun of MSC -- which sails under the company slogan "the Mediterranean way of life" -- is that there is always a cosmopolitan vibe created by the many different nationalities onboard (usually at least 20 or more). It's a very inclusive line, attracting all types of passengers including couples, families, groups of friends and a small sprinkling of solo travellers. In general, they are younger than cruisers on more traditional ships, creating a livelier (some would say noisier) atmosphere. Occasionally the cultural differences create a few small rubs. Waiting patiently is not the norm in some countries, so there can be queue jumping at the buffet and people flooding out of the theatre in no particular order at the end of a show. Magnifica has a very relaxed, laid-back onboard atmosphere, which will appeal to cruisers who prefer not to have to don their best bib and tucker. Daywear is casual, with beach attire on deck, shorts, T-shirts and jeans at breakfast and lunch, and comfortable clothes for excursions. The daily programme lists three evening dress codes for the restaurants from 6 p.m., but these are suggestions and not strictly adhered to or enforced. 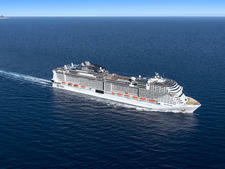 For gala nights -- usually two every seven-night cruise -- the recommendation is elegant, which is MSC's less stiff and starchy version of formal. Of the women that did dress up on elegant nights, the tendency was for cocktail dresses, and nobody wore long ball gowns. Some men wore black tie or dark suits, while others simply smartened up a little. Informal nights mean a dress or trousers for women and jacket and trousers (no jeans) for men. For casual nights more or less anything goes (aside from shorts and swimwear), including jeans, T-shirts and sportswear. 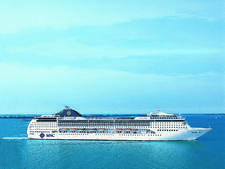 There is also an optional theme night on most cruises, such as a white party or 70s and 80s night, where passengers can wear anything suitable they might have -- but again, this is only a recommendation and nobody will feel out of place whatever they choose to wear. A gratuity charge of 10 euros per day for adults, and 5 euros for children over 2, is automatically added to shipboard accounts. A 15 percent service charge is automatically added to all bar purchases and spa services. 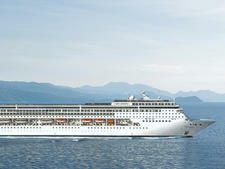 Prices onboard are in euros, although most purchases are made using a cashless "personal cruise card".